2Google, Mountain View, CA, USA. 3Department of Forest and Natural Resources Management, State University of New York, Syracuse, NY, USA. 4Woods Hole Research Center, 149 Woods Hole Road, Falmouth, MA 02540, USA. 5Earth Resources Observation and Science, United States Geological Survey, 47914 252nd Street, Sioux Falls, SD 57198, USA. 6Geographic Information Science Center of Excellence, South Dakota State University, Brookings, SD, USA. Google, Mountain View, CA, USA. Department of Forest and Natural Resources Management, State University of New York, Syracuse, NY, USA. Earth Resources Observation and Science, United States Geological Survey, 47914 252nd Street, Sioux Falls, SD 57198, USA. Geographic Information Science Center of Excellence, South Dakota State University, Brookings, SD, USA. Forests worldwide are in a state of flux, with accelerating losses in some regions and gains in others. Hansen et al. (p. 850) examined global Landsat data at a 30-meter spatial resolution to characterize forest extent, loss, and gain from 2000 to 2012. Globally, 2.3 million square kilometers of forest were lost during the 12-year study period and 0.8 million square kilometers of new forest were gained. The tropics exhibited both the greatest losses and the greatest gains (through regrowth and plantation), with losses outstripping gains. Fig. 1 (A) Tree cover, (B) forest loss, and (C) forest gain. 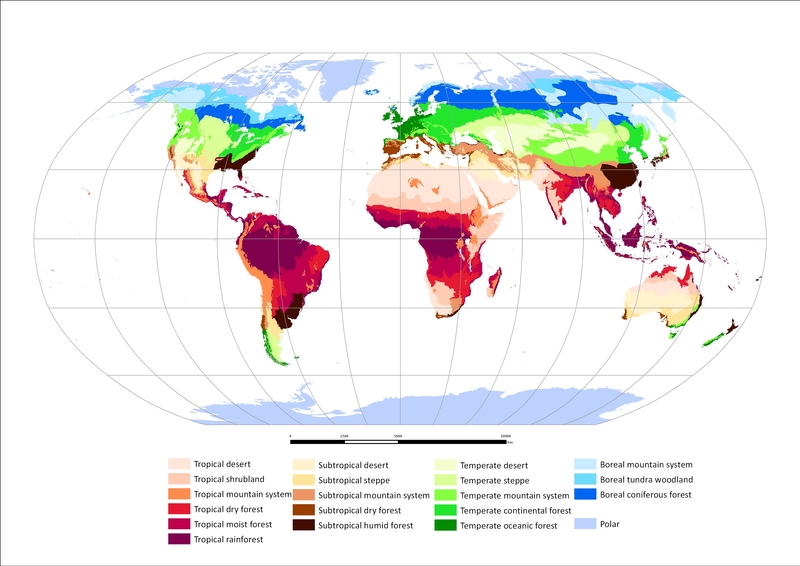 A color composite of tree cover in green, forest loss in red, forest gain in blue, and forest loss and gain in magenta is shown in (D), with loss and gain enhanced for improved visualization. All map layers have been resampled for display purposes from the 30-m observation scale to a 0.05° geographic grid. Fig. 2 Regional subsets of 2000 tree cover and 2000 to 2012 forest loss and gain. (A) Paraguay, centered at 21.9°S, 59.8°W; (B) Indonesia, centered at 0.4°S, 101.5°E; (C) the United States, centered at 33.8°N, 93.3°W; and (D) Russia, centered at 62.1°N, 123.4°E. Fig. 3 Annual forest loss totals for Brazil and Indonesia from 2000 to 2012. The forest loss annual increment is the slope of the estimated trend line of change in annual forest loss. ., Mapping the world’s intact forest landscapes by remote sensing. Ecol. Soc. 13, 51 (2008). , NASA’s orthorectified Landsat data set. Photogramm. Eng. Remote Sensing 70, 313–322 (2004). Landsat data reveals details of forest losses and gains across the globe on an annual basis from 2000 to 2012.